The Chinese government has issued a statement announcing that, as part of tightening censorship policy in the country, the access to most of the global internet will be blocked very soon. 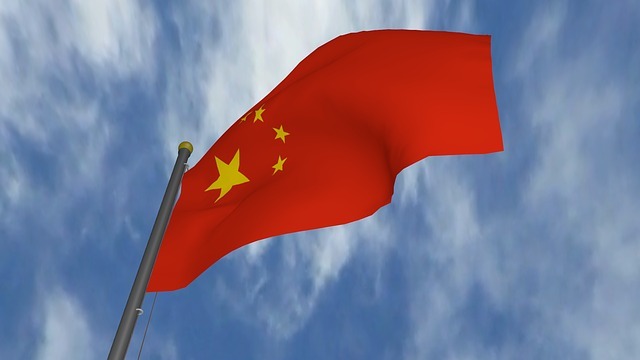 The government has ordered local, state-owned, telecommunications companies – China Mobile, China Unicom and China Telecom – to block the VPN access to the net, effective from February, 2018. Although Chinese government officials often strongly deny this, China is infamously known as a country that censors the internet and blocks access to thousands of popular international websites, including Google and social networks, like Facebook, Instagram and Twitter. This censorship policy has received the name "The Great Firewall of China". In this way, the government manages to control the news’ content and public opinion, while preventing criticism of the Communist regime in the country. For example, while student protests against the communist regime in Tiananmen Square in 1989 and protestors demand for democratic reforms in the country, are commonly known all over the world, in China itself, it is almost impossible to find any references to these events on the internet. However, millions of people in China have so far managed to circumvent censorship restrictions by using VPNs, thus gaining access to all the forbidden websites in China, without this being brought to the attention of the authorities. Although the Chinese government is aware of this matter, it is impossible to know the identity of VPN users and what information they send or receive. Recently, opponents of the government who are not able to publish information inside China, have started to release it on websites outside of the country, thanks to VPNs that allow them to bring information back to the Chinese citizens. By doing this, they have succeeded in causing harm to the public opinion about the existing regime in China. In light of this situation comes the recent announcement regarding the total ban of the VPNs all over China. Virtual Private Network (VPN) allows anyone to access the internet securely without their ISP being exposed to the information they send and receive. VPN browsing has several advantages, among them, the ability to browse privately without revealing details about the nature of the activity on the various websites, concealment of the exact geographic location (for example, browsing from one country with another country’s address), protection against bugs or hacking of information systems, and downloading files without anyone knowing the identity of the person who is downloading them. VPN browsing has a number of disadvantages as well, such as some decrease in browsing speed (due to the fact that the VPN functions as an additional server through which the data must pass); certain risks to the privacy of user’s personal information when browsing the web via a free VPN service provider. That is why one should choose a trustworthy and reliable service provider. VPNs are typically used by companies and individuals who are interested in keeping their information private from external parties (such as internet providers or hackers), and in particular in China, internet is actually the only way Chinese people can obtain objective information of what is happening in the world. And now, apparently, this freedom of information in China is about to end. Who will be affected by this move? First and foremost, Chinese residents and opponents of the government will be the ones to be harmed, as they no longer will be able to use VPNs to connect to the world's leading websites, to release information or to access it. Meaning, the only information that Chinese people can be exposed to will be that which is approved by Chinese censors. In addition, the move will harm Chinese academics as they will not be able to access foreign journals or contact their colleagues around the world. Furthermore, foreign businesses based in China will not be able to use VPNs to communicate with their branches or headquarters in other countries, and their ability to secure their information will also be impaired. Internet Binat offers a number of advanced solutions designed for international companies in different fields of business activity and provides solutions to a variety of challenges, including the one currently forming in China.